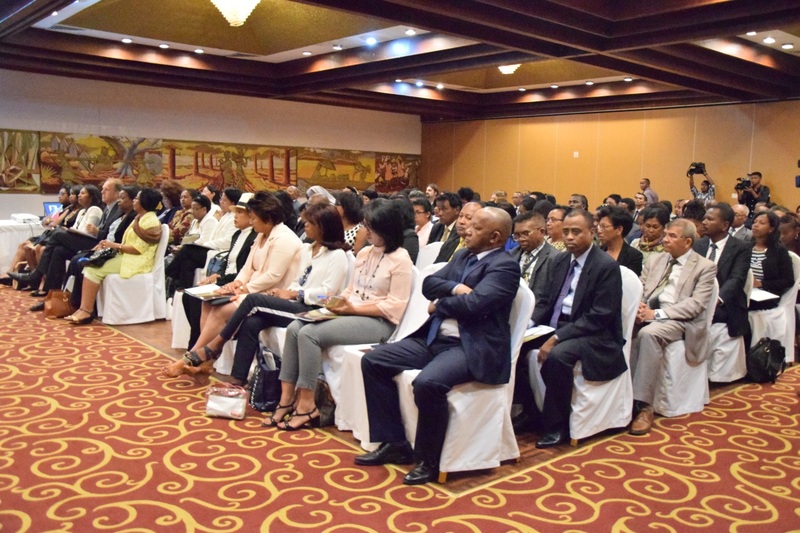 Two years after the National Young Girl Leadership Summit, Youth First held its second summit titled "National Youth Summit" in Antananarivo, where 88 young people between the ages15 to 30 years from the 22 regions of Madagascar attended. The main topics of the summit focused around education, entrepreneurship, employment and governance. EISA took part in the governance topic by leading workshops on electoral violence and youth participation in the political and electoral process. The summit ended with a conference titled "Talk Across Generations" A talk that gave these young people the opportunity to exchange directly with MPs, ministers, politicians and entrepreneurs by addressing the issues that Malagasy youth face on a daily basis and the solution they think would help remove the barriers that still prevent youth from fully participating and helping the country move forward. 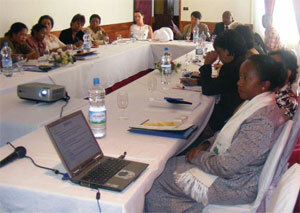 A national roundtable on the quest for women's empowerment was held in Antananarivo on December 5th and 6th. This two-day roundtable gathered gender experts, government officials, international organisations working in the field of gender promotion, and MPs. During the roundtable, an assessment of the application of the convention signed in Beijing in 1995was presented from pertaining to women's empowerment, including women's participation in public life and in elections; women and health; women and economic empowerment; gender based violence, climate change and education. These assessments looked at the improvements that Madagascar has achieved since 1995 regarding women's empowerment, as well as the areas that still need attention that the country still needs to work on for the next decade in achieving the full empowerment of Malagasy women. A bulletin on women's participation in the workforce and in public life has jointly been published by EISA and the National Office of Employment and Training in Madagascar (ONEF). The bulletin statistically summarises the status of women in the field of education, employment and in public life. A review on gender inclusion in laws and policies passed in the National Assembly since 2015 was conducted by EISA. This review was intended to assist the gender commission in drafting necessary amendments to policies that are discriminatory in regard to gender equality. After publishing the draft amendments, EISA facilitated technical meetings were held in October with parliamentary staff and MPs from both houses where possible actions to gender discriminatory policies was discussed. On March 7th a conference on violence against women in politics was jointly organised with the Ministry of Population and the United Nation Population Fund (UNFPA). This was the first conference on violence against women in politics held in Madagascar, as this topic is rarely discussed. A group of panelists from different backgrounds on gender based violence facilitated the debate along with testimonies from women who have been victims of political violence during their political career. Women members of political parties, women leaders of civil society organisations, women leaders within the government and women MPs attended the conference. The conference highlighted the lack of awareness of violence against women in politics as it is mostly perpetuated in hidden spheres. Gender equality plan of action supported. EISA supported the implementation of plans of action for the Association des Universitaires pour la Promotion du Genre (AUPROG)1 and the Vondrona MiraLenta ho an'ny Fampandrosoana (VMLF)2 in six regions - Antananarivo, Antsiranana, Fianarantsoa, Mahajanga, Toamasina and Toliara. Implementing these plans of action was facilitated through various activities such as: seminars, television debates, sporting events, marches raising issues of gender and trainings. Various topics were addressed at these events, including traditional barriers that prohibit gender equality, women's rights, opportunities for balanced representation of all citizens and women's participation in the electoral process. VMFL members drawn from the 22 regions of Madagascar gathered in Madagascar on 5-6 November 2012 for a consultative meeting to design a common strategy for the training sessions for VMLF women candidates for next elections, a project initiated and supported by EISA. The workshop provided an opportunity for VMLF members to discuss the association's internal structural issues besides gathering suggestions from participants on how best to tailor the training sessions to their needs and also how to enrich the training manuals and handbooks. This approach fostered a sense of ownership by VMLF members and a commitment to support female candidates for the general elections. The relationship between the national bureau and regional branches of VMLF were also discussed with a view to improving the lines of communication between these structures. A representative from the Ministry of Interior was invited to shed light on a few legal and administrative matters regarding VMLF's registration. 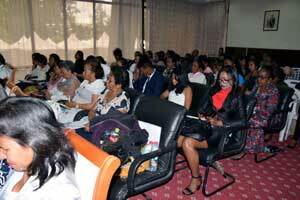 31 women attended the workshop including 22 regional branch's delegates and 9 members from the national bureau. For the first time since the establishment of the VMLF in 2007, the national VMLF bureau and regional branches agreed on a set of resolutions to improve the relationship between the central and regional organs of the association. This included the decision that constitutions governing the national bureau and regional branches should be harmonised and a single constitution should be adopted. Participants also discussed preparations for the VMLF's general assembly in March 2013. Since the establishment of the VMLF in 2008, the network has been able to mobilise a large constituency of women encouraging and supporting their involvement in decision-making and political life. The number of VMLF's members has increased steadily since its establishment from 800 members in 2009, 1200 in 2010 and to 2268 by the end of 2011. 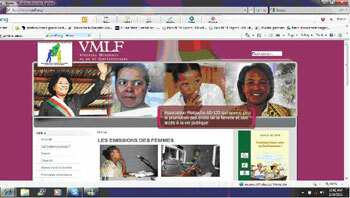 The VMLF website had a total overhaul during 2011 making it more user-friendly and extending its content to include reports from the VMLF regional branches which are uploaded onto the website and can be visited at www.vmlf.org. 2010 saw the roll out of the VMLF 2009 Plan of Action with an increase in its membership to over 3 000 members and branches in 119 districts. This is the only women's movement in Madagascar that has a wide base. EISA also supported the VMLF General Assembly that adapted internal rules and a Code of Conduct to support VLMF's main goal of achieving 30% of women in decision-making processes in 2013 and 50% in 2015 in Madagascar, as outlined in the SA DC Protocol on Gender and Development signed by Madagascar in 2008. With EISA 's support, 3000 copies of the second edition of the booklet 30-50% was produced, launched and distributed to women in 22 regions of Madagascar. This booklet has become a reference tool for local women who want to enter the sphere of decision-making in Madagascar. EISA created and launched a website in partnership with the VMLF regarding its aims, mission and objectives as well as up to date information on its activities and general issues around women's progress in Madagascar. Through this intervention, users worldwide can track the movement of and collect data about women in Madagascar on www.vmlf.org. 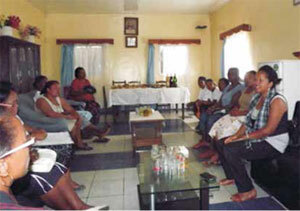 From July to December 2008, the steering committee formed in 2007 (see below) laid the groundwork for the Plan of Action consulting with a range of stakeholders and re-formed itself into the Vondrona Miralenta Ho an' ny Fampandrosoana (VMLF), the women's movement in politics for the country's development. The EISA programme contributed to the formation of the VMLF and supported its work in formulating a Plan of Action to ensure gender parity. A steering committee has been put in place to lay the groundwork for the establishment of a national network to promote women's interest and to lobby for at least 30% representation of women in the next parliamentary elections. The steering committee agreed to launch a campaign entitled 'Association Acting for Gender'. The committee is working on a strategy to establish the regional steering committees in the six previous provinces of Madagascar. They also addressed a letter to the President of Madagascar and to the leaders of political parties to increase women's participation in the decision-making processes in the country through their parties. The committee is currently setting up the media component of the network to draw the journalists' councils attention to the role that they can play in leading the advocacy and lobbying campaign so sensitise listeners and TV viewers to the campaign and to establish a list of journalists who can work with the steering committee. The establishment of the steering committee and the work it has already undertaken indicates the groundwork that has been laid for a long-term intervention. 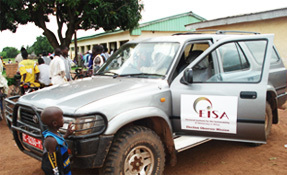 EISA has also been able to build a good working relationship with the Ministry of Health, Family Planning and Social Affairs, particularly through its Promotion of Gender office. The Promotion of Gender office also participates actively in the Steering Committee.